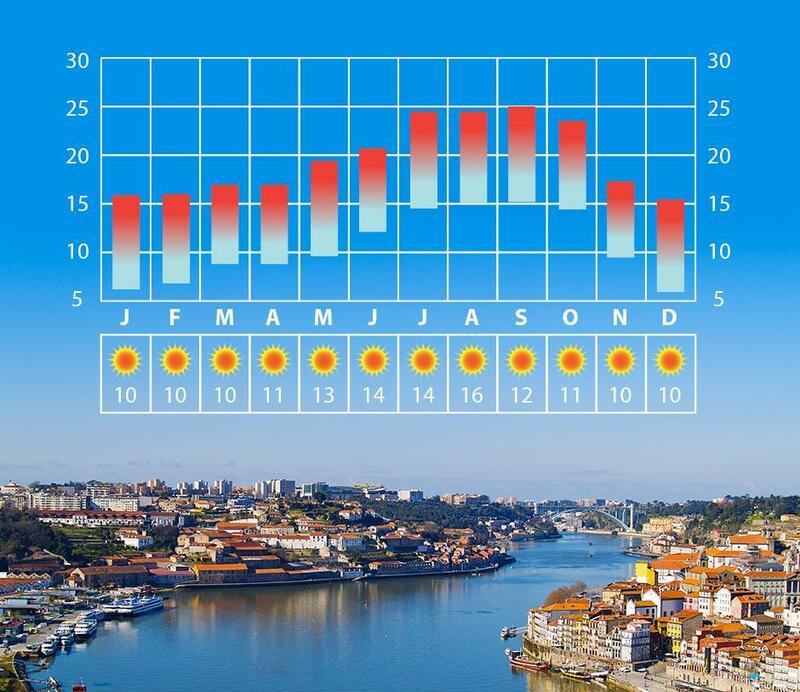 In the summer, the average temperatures in Porto range from 13°C to 25°C, although temperatures can climb as high as 40°C. Come autumn, the thermostat usually hovers around 14°C for the lows, and 21°C for the highs. Winter temperatures average between 5°C and 14°C, plus there’s a lot more rain. In the spring, when things heat up again, the temperatures vary between the single digits (around 8 or 9°C) up to the mid 20s.